“It felt like slavery,” said Amazon worker Ibrahim Sangare. Ibrahim Sangare worked at the Amazon Fulfillment Center in Staten Island and said the experience was grueling. Workers spent at least 10 hours a day on their feet while scanning items, lifting boxes, and going up and down stairs. 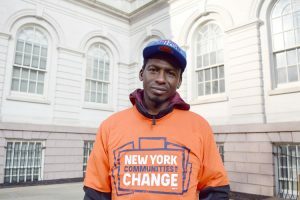 The new campaign finance rules approved by voters at the polls last month don’t take effect until 2021 -- but City Councilman Ben Kallos has introduced legislation that would allow candidates in the upcoming special election for public advocate to opt into the new system. “Almost every single candidate running for public advocate is already an elected official, and only one can win. And I just don’t want that many existing elected officials taking that much money,” Kallos told the News.